This past week; or maybe two weeks ago; I had some time on my hands and started playing around with Heron for Grasshopper. For those of you familiar with Heron it’s a plug-in developed by Brian Washburn. Here’s a brief description of Heron as it appears on food4rhino: This is the first release of an add-on which enables the import of GIS data from various sources into the Rhino/Grasshopper environment, located, scaled and cropped based on an Earth Anchor Point and a clipping polygon. Sources of GIS data include Shapefiles, USGS IMG/HGT Elevation files and ArcGIS REST Services over the web. It’s quite an interesting plug-in because of its awesome capabilities to pull up some demographic data and quickly visualize that in Grasshopper. 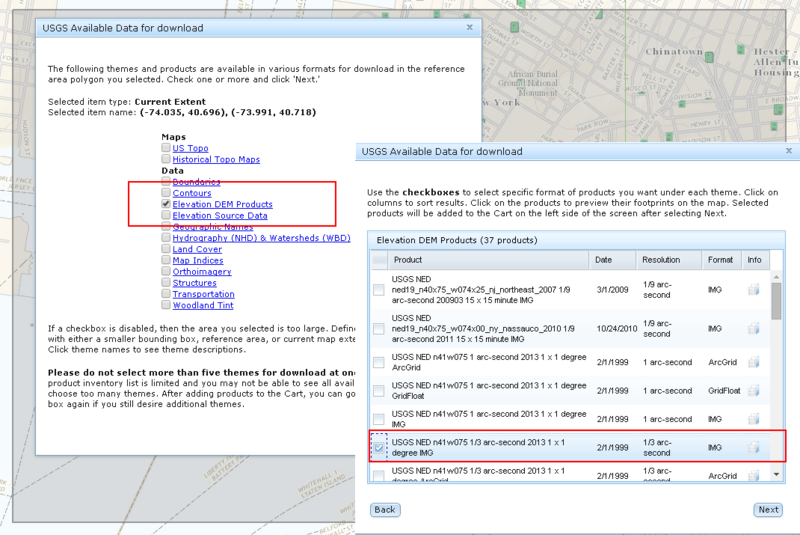 Keep in mind that in order to obtain a proper topo information you want to download the Elevation DEM Products and from the next window you will need to look for IMG files. If you select them, they will highlight an area on the map that they correspond to so its easier to get the right one in case that you are right on a border between two images. Once you have all the date, it should be pretty straight forward from there. Just point Heron at the right IMG file and you are good! Konrad, dig your work. Mantra Shrimp is great. Much simpler question though,, what do you use to create your gifs? Thanks! Will give it a try. You rock!